Needless to say, people always want to compare pheasants with chickens first. Well, pheasants can indeed taste like chicken (if they’re raised like farmed chickens). If cooked using chicken recipes, they can also pass up as chicken. When raw, however, pheasant meat can be anywhere from dark to pinkish white (chicken meat is white). Most people are already familiar with the taste of turkey – especially if you live in the US. It’s always served during Thanksgiving – so, you already know that it tastes good. Compared to pheasants, turkeys have finer meat structure. As for the taste, they have “some” similarities, but pheasants are more flavorful and they carry a nuttier taste. Quail is another favorite among hunters and even non-hunters can appreciate its taste. If you know the taste of quail, you can use it as the basis for knowing how a pheasant tastes like. Just know that pheasants carry a gamier taste than quails. 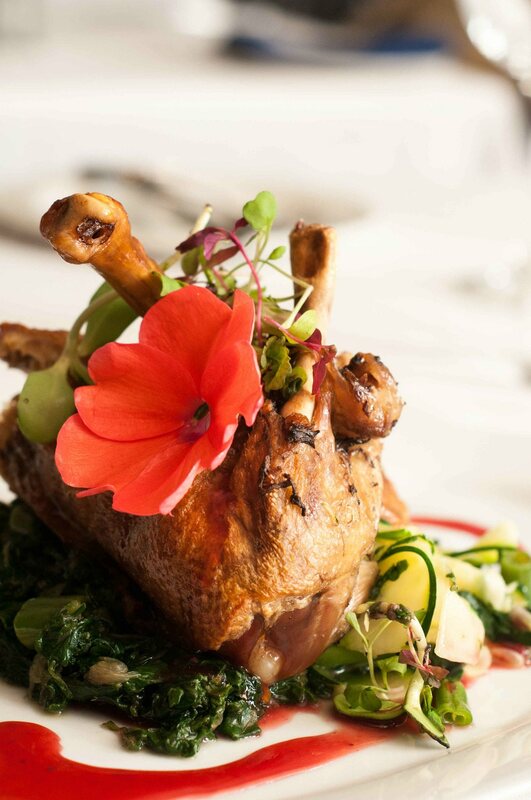 Not too many people appreciate the taste of ducks – unless it’s prepared and cooked in China. Ducks can taste good if prepared well, and can taste unpleasant if not prepared well. In general, therefore, pheasants are more appealing in taste than ducks. Note: Pheasants carry an overall mild taste when compared to other game birds. 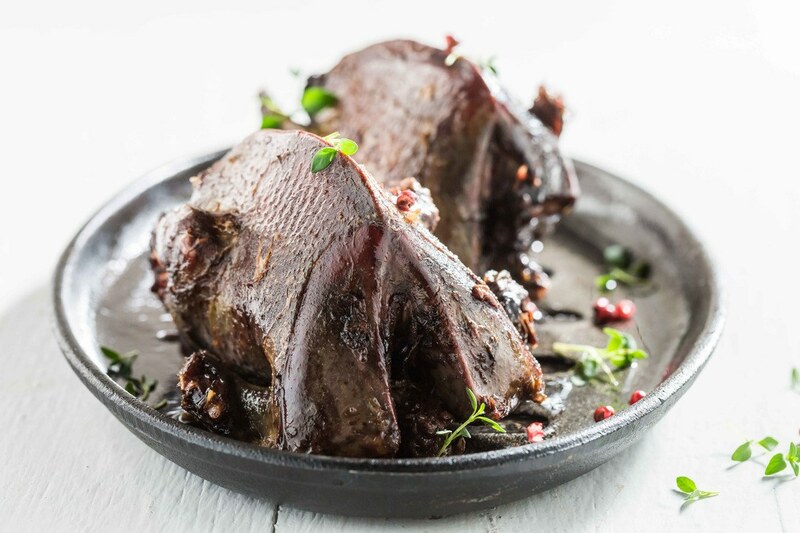 Pheasant meat is generally darker than chicken meat, especially when it’s a wild pheasant. Farm-raised pheasants can have lighter color of meat (pinkish white, almost like chicken meat). Pheasant meat is usually lean – especially if they’re caught in the wild. You see, pheasants are very active birds and can run at 45 miles per hour (that’s quite fast). They also have good senses of sight and hearing, that’s why they can be a bit challenging to hunt. It is also for this reason why wild pheasants have little to no fat. 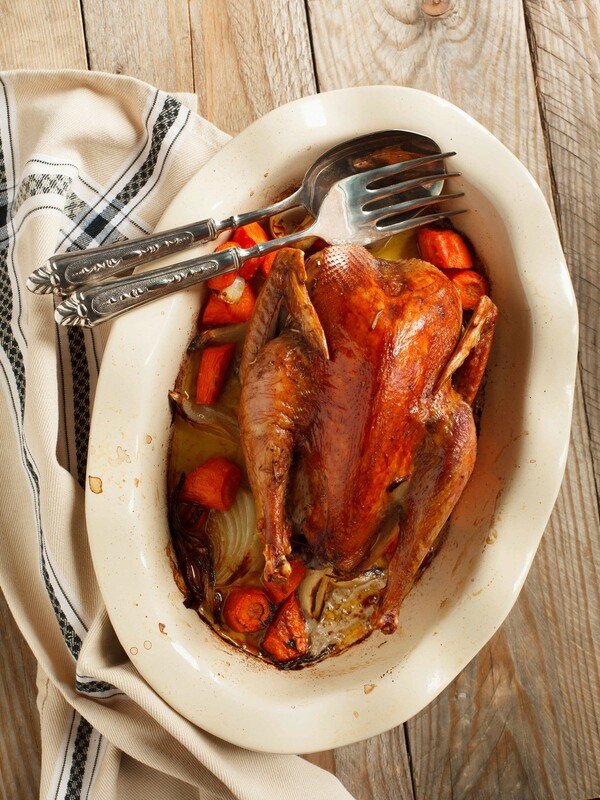 Cooked pheasants can carry a variety of tastes. As with other dishes, its taste will depend on the method of cooking used. The seasonings (Amazon) and sauces used will greatly affect the outcome of a dish as well. Overcooked pheasants are not appetizing – and some people may not be able to eat the dish at all. You see, pheasant meat can become dry and chalk-like when overdone. Wild pheasants eat the things that are found in the wild (which can include insects) – their food is absorbed into their systems and affects the taste of their flesh. Farm-raised pheasants are fed chicken feeds – that’s why their meat can carry the same flavors as chickens. Farmed pheasants are kept in a contained area and have limited space for their activities. Wild pheasants have gamier tastes than farmed-raised pheasants. Hanging time – As part of its preparation, freshly killed pheasants need to be hanged before cooking. This has an effect on its overall flavor as those that are hanged longer will be more flavorful. Cooking Method – Like chicken (or other types of meat, for that matter) food will taste differently when cooked in different ways. The length of time that you hang a pheasant will affect the flavor of its meat. Aside from having a stronger flavor, the meat will also be more tender when cooked. Wild pheasants that are newly killed can be hanged up to 9 days (or more). Farm-raised pheasants can be hanged for only 3 days as their meats are not that tough and flavorful, to begin with. Pheasants should be hanged in temperatures of about 50 degrees. If its higher than that, you are already exposing the meat to bacteria. Internal organs of hanged pheasants should never be eaten. It’s safe to assume that these have all gone bad during the hanging process. Before cooking a pheasant that has been hanged (for a number of days), check to see if it’s still good to eat. If it’s already rotten and has a really bad smell, just get rid of it. You can also cook a pheasant dish in a slow cooker. Basically, you can cook pheasant as you would cook chicken. A serving of pheasant (without skin) has about 133 calories. A serving of pheasant (with skin) has about 180 calories. Pheasants carry cholesterol, especially if you eat it with the skin on. Some people hang (and age) their pheasants until there are maggots in the flesh. This results in a very gamey tasting pheasant dish. Commercially sold pheasants are aged in chillers. Female pheasants have more meat on the breast area. Male pheasants are gamier in taste compared to the females. Q: Do pheasants taste good? A: It depends on your taste and preference. Since pheasants are known to carry that gamey taste (some mild, some strong), it appeals to those people who can appreciate such taste in meats. If you are used to chicken meat (bland tasting) and are not experimental with trying something new, you might not enjoy eating pheasant. Q: Is pheasant good for you? A: Pheasants have some nutritional value. It is particularly high in protein (like most meat products). It does have some cholesterol, though (like chicken), especially if you eat its skin. Q: Why are pheasants popular as game birds? A: These low-flying birds are easy-target for hunters. Compared to other game birds, their meats are also tastier. 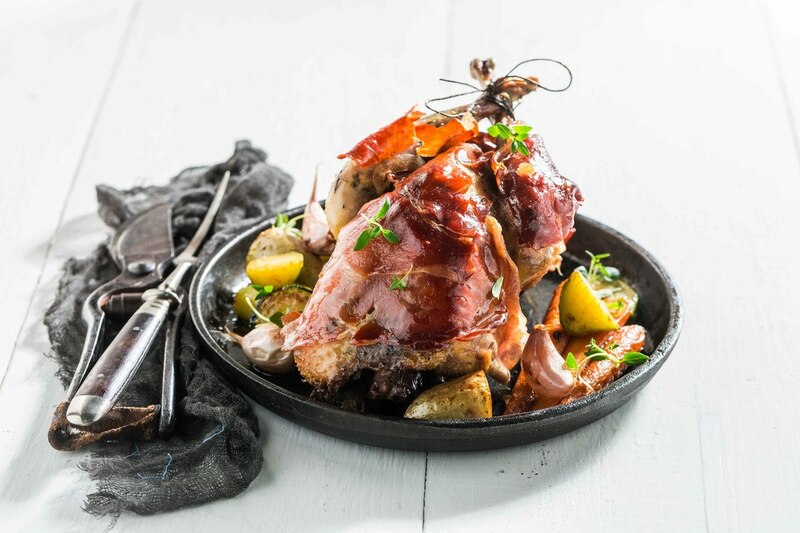 Try these 3 pheasant recipes and see how you like them. This roasted pheasant recipe calls for a tasty marinating sauce that will give your pheasant a really wonderful taste. You will need a lot of herbs and spices for this (whatever is available) and you can use a mixture of wine, lemon juice and orange juice as the base. 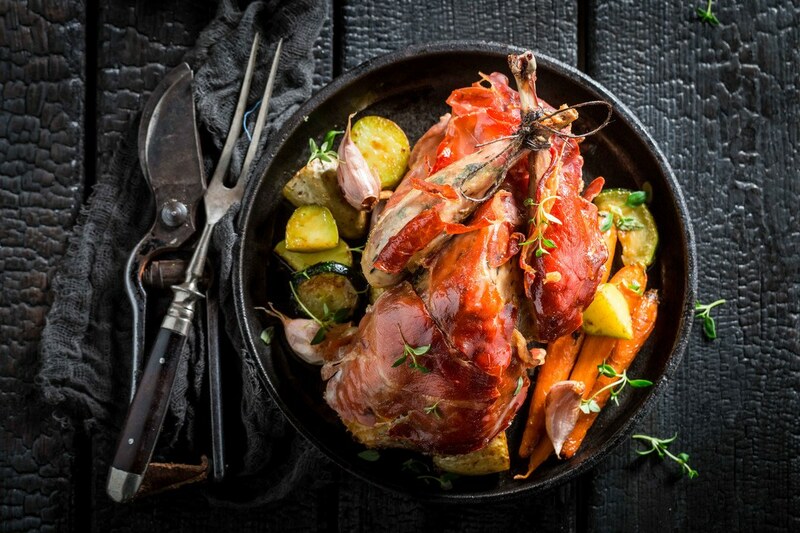 For this particular recipe, the pheasant is also stuffed with apples and oranges. To give the bird a nice color, you need to fry it for a few minutes first. To complete the cooking process, pop it in the oven (350 degrees Fahrenheit) and let it cook for about 2 hours. For this recipe, you only need pheasant breasts cut into cubes. The procedure calls for frying the chunks of breasts along with some onion, garlic and mushrooms. It is finished off by adding cream for the sauce. The next day, drain the pheasant and pat it dry before cooking it. When it’s all dried up, rub it with seasoning and set the smoker (Amazon) to 225 degrees Fahrenheit. Cook the pheasant for about 1 ½ hours. 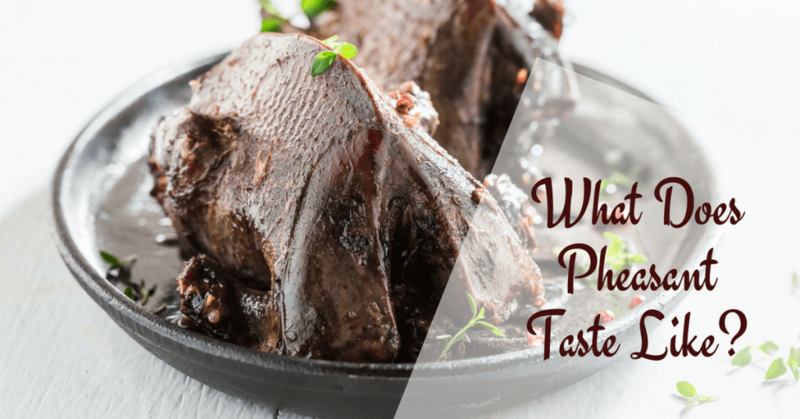 So, ​what does pheasant taste like? To wrap up everything I just told you in this article, I would have to say that pheasants taste somewhat like chicken – but their meat tastes a lot gamier. Take special notice on the importance of the source, as wild pheasants are more flavorful (gamier) than farm-raised (bland) birds. If you are really curious about its taste, I say go ahead and try it out. Those who have already tasted it say that it’s good – so, that’s a good sign, right? Well, let me know how you like it (once you try it). I will surely be waiting for your feedback. Also, don’t forget to share this post with your friends who are also curious about pheasants.